Should You Put Your Compost Tumbler in Sun or Shade? →Should You Put Your Compost Tumbler in Sun or Shade? One of the biggest decisions that must be made when using a compost tumbler is to choose whether the best location is under the sun or in the shade. If you opt to place it in the sun, the heat of the sun will contribute well to a faster composting process. However, you may face the problem of the compost pile overheating, especially if you place the tumbler in full sun. On the other hand, placing a tumbler in the shade can protect it from the harsh cold weather and rain, but it doesn’t help much in the composting process because cooler conditions impede the aeration process. To help you decide between a sunny location and a shady spot for your compost tumbler, here are some guidelines. Low temperatures slow down the composting process. The composting process will still occur in the shade, but it will be a little slower as compared to a tumbler exposed to full sun. Tumblers are often black in color to absorb more of the heat of the sun whether it is placed in the sun or shade. If you live in a cold region, you may have no choice but to place your compost tumbler in the shade to protect it from strong winds and snow. However, compost tumblers are fully enclosed and can withstand harsh weather conditions outside, but piles of snow may pose a problem. It is recommended that you put your tumbler in the shade in winter. To heat up the composting process, you can add some nitrogen-rich ingredients, like manure and seaweed, to boost the decomposition process. Regularly turn the barrel to thoroughly mix the pile. The beneficial microbes require moderately high temperatures to break down the pile into useful fertilizer. The heat helps them work faster. Putting the compost tumbler in the sun is important so the tumbler can collect heat. However, too much sun can also destroy the microbes and can even cause fire in the materials inside the tumbler. Therefore, a little shade is also important. 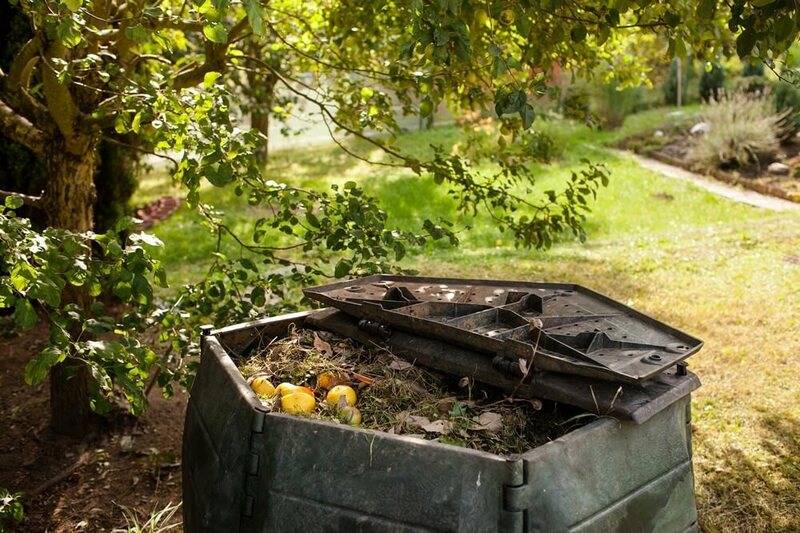 For those who live in warmer regions, it is best to put the compost tumbler in a little shade because too much heat can overheat the pile inside the tumbler. It can result in overly dry compost as well. Although most compost tumblers are made of thick plastic, they can still melt or become deformed or warped under full sun exposure. Some composters have reported they have experienced a deformed door due to excessive sun exposure. This deformity makes it difficult to seal the barrel securely. To prevent sun damage in hotter climates, it is best to place the compost tumbler under partial shade where the sun can still reach the tumbler, but not so much that the heat will destroy the barrel or the compost inside. Putting the compost tumbler in direct sun can speed up the composting process. The sun can raise the temperature inside the tumbler encouraging the beneficial microbes to work faster. Microbes thrive best at hotter temperatures, therefore, they are more active under the heat of the sun. If you decide to set up our tumbler in the sun, avoid exposing the tumbler to full or direct sunlight because the materials inside may burn or overheat. On the other hand, the shade does nothing to speed up the composting process. As a matter of fact, shade can delay decomposition. This poses a problem if you need fertilizers sooner rather than later or you have a large stockpile of kitchen scraps waiting for the next batch. If you must put the compost tumbler under shade, you need to turn it more frequently to keep the mix aerated. You can turn it daily if necessary. Under these conditions, it is best to put the tumbler in partial sunlight to help quicken the composting process. 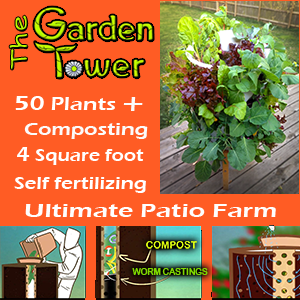 If you have a high demand for fertilizers for your garden and you generate a large volume of kitchen scraps regularly, it is best to put the compost tumbler in partial sunlight because it can convert kitchen scraps in a matter of two to three weeks. The sun has the tendency to dry out the compost pile inside the tumbler. You can tell if it is too dry if the pile appears more like dust than earth. A great test to determine its dryness is to squeeze the compost. If you don’t release any water and the compost breaks apart easily, then the compost is too dry. If your compost tumbler is too dry, the microbes will work slower due to dehydration. The way to fix this problem is to moisten the compost pile by watering it evenly. You can also unload the some top layers off the pile to moisten the bottom layers. Another effective method is to add more carbon-rich ingredients like vegetable scraps and fresh grass to add more moisture to the compost. On the other hand, putting the compost tumbler under full shade can create a compost pile that is too wet. Matted piles inside the tumbler indicates too much moisture. Another good indicator of overly wet compost is an ammonia odor. In this situation, the beneficial microbes are missing the oxygen they require to continue working. A speedy remedy is to aerate your compost. You can do this in a tumbler by spinning the barrel. You can also try adding more brown materials like dry leaves or shredded paper to absorb the extra wetness inside the tumbler. It is best to place the compost tumbler in partial sunlight because even just a little sun exposure can help evaporate the moisture in the pile. Just make sure that it is not under full sun because it can overheat the pile. Don’t put your tumbler under full shade either because it can slow down the decomposition process.